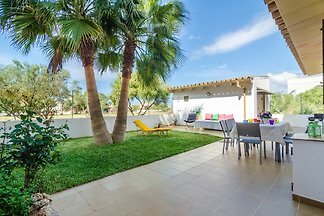 Modern 140 m2 duplex townhouse overlooking the sea and village, located in the coastal area of Sa Rapita (Campos). It can comfortably accommodate 6 people. Set only 450 meters from the beach of Sa Rapita and close to Es Trenc, this distinctive chalet for 5 people features a private pool. Lovely house near the beach in Sa Rapita, welcomes 7 people. It is close to the sand beach in the south of Mallorca. In the coastal village of sa Ràpita, this fantastic chalet for 7 people, near the sea, will transform your vacation into an unforgettable memory. 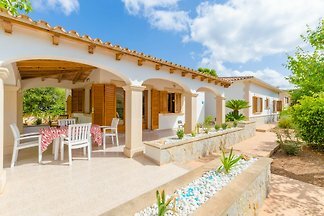 This great summer house in sa Ràpita, located about 400 metres from the sea, welcomes 6 guests. Rent successfully your holiday flat or holiday home in Sa Ràpita in only 20 minutes !